To newbies -- some of you have raised children and they're young adults now and you think WOW that time went by fast. Each day didn't necessarily feel like it was whipping by, but in hindsight, you remember so well when you sent them off to school that first day, and now they're graduating from college or getting a promotion in their career field, or making a family of their own. That's when it really hits you. And my point is that being a quitter feels the same way. Sure, I can remember early in my quit when I thought "is it really tacky to go to bed at 7 p.m. so I can stop wanting to light a cigarette??" Those early days were not whizzing by, any more than the days when you were potty training your toddler whizzed by. But now that you've done a splendid job of raising those kids, you are proud and hopefully happy. That's how I'm starting to feel about my quit. One Thousand Days. WOW. Just a quick catchup for all my peeps who care what's going on. Starting next week I will be working 1/2 time and while I'm happy that it will be less stressful, at 20 hrs. a week, I'm going to have to change my lifestyle based on 1/2 the income. It's a semi-retirement in which I get to keep doing what I like doing. Also, I'm going on to Medicare, which for some ridiculous reason, scares me. I have lots of medications, and the one I really, really need is crazy expensive, and I've been told that the supplemental coverage would require me to pay $96 per month for that medication (that's the co-pay), and it's only one of many meds. But I've gotten the papers they need, and I will be sending in the application to start on November 1. I'll have to get a supplement. It's not that the employer provided insurance I've had is so fantastic, but from what I've gleaned, I'll be paying about what I was for coverage but I will have much more out of pocket. But there's nothing for it but to do it. They're paying me half of my salary, which is way more than I could expect if I just went out and got a part-time job. And I like what I do, so that's a good thing, too. And I really like the people I work with (not the commute, though). My sister is going through another cancer scare, having a surgical oncologist remove what he believes to be a malignant tumor in her lung, but the tests they've done indicate there's been no spread. Her surgery is on Thursday and I'll drive up to Pittsburgh Thursday afternoon and spend through the weekend. If it goes well she should get out of the hospital on Saturday (Could be Friday, but given her compromised lungs, they think they'll need to hold her longer. I really should drive back Sunday night, but if she needs me I'll stay over to Monday. So it's late and I need to get to bed, but I love my EX Peeps and thank you for putting up with me for A THOUSAND DAYS!!!! That's better than an A! Congratulations Donna on 1,000 days and your semi-retirement! Here is your comma! 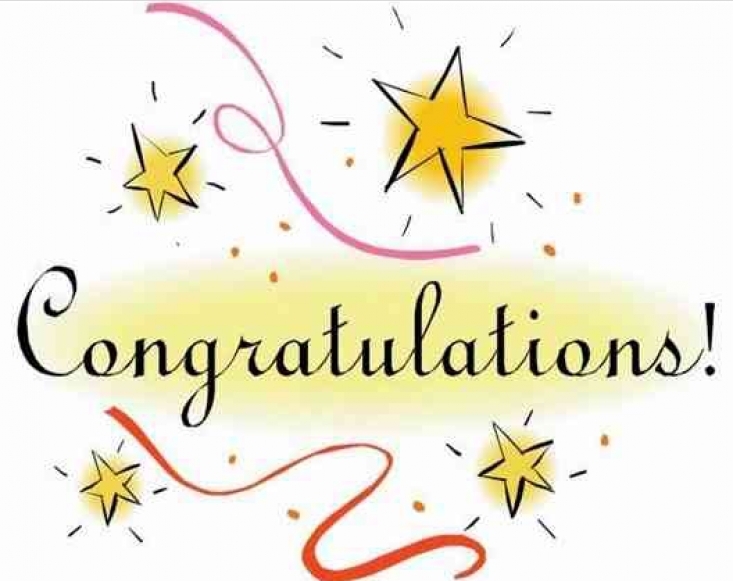 Congratulations on your awesome entrance into the Quad Squad, 1,000 glorious smoke free days, yay you, this is a splendiforous milestone with many more to come, hip, hip, hooray because being smokefree really does get better and better without the crutch of smoking, thanks for the EXcellent blog Donna. Congratulations on your entrance to the Quad Squad! Woo hoo! Congrats D J. Glad you are going to go 1/2 time. Sounds great. I have aarp as my supplement (It is United Healthcare. I was in ICU a year ago. It is great insurance along with Medicare A&B. You need to shop around for your prescription insurance. There are many plans out there. Happy kind of retirement. Enjoy. djmurray_12-31-14 Congratulations...AGAIN, on joining the Quad Squad! Good for you. I am so happy that you are here and that you have done such a beautiful job of raising your quit to this point. I know there have been challenges but you faced each one with grace and confidence. I will be saying many prayers for your sister and that her surgery goes well and that the treatment will be very successful. I am sure she is terrified. I know I would be. I WAS when I had my lung surgery and there was no mention of cancer. Feel the love and the prayers coming your way. RE: the Medicare...I have a supplement for my care but I have a different one for my meds. I went to Medicare.gov and researched the meds I am on and the best choice for my needs. I started with a different one but it was bought out, my coverage is pretty good, I pay a co-pay but it's not anywhere near as high as $96 for any of them. I get my supplement through AARP, it is annoying because it goes up every year but it does offer amazing coverage. Please let us know how your sister does and again, congratulations on your entrance into the Quad Squad! Thrilled for your Comma Donna! Prayers for your sister's surgery. Congrats Donna on your huge milestone, great blog! I am happy you are able to semi-retire, and surely purchasing additional insurance to Medicare should take care of your expensive copayment! Hoping thing will go the right way with your sister! Good to see you again, please stop by more often, we enjoy and always learn from your presence here! Oh Donna - huge congrats on ONE THOUSAND days!! Prayers for you and your sister....please take care. Donna sincere congratulations on your 1000 days! I hope this next new chapter in your life goes smoothly.....life is about change. As long as you are changing.....you are living. I will keep your sister in my prayers. I am going through this same experience with my best friend and cancer-----it is scary and not easy. You stay strong.